Accommodation: check. Car insurance: check. Home insurance: check. Cost of the average pint of beer: let’s have a look. New research from the UK’s leading price comparison website, MoneySupermarket, has revealed the best and worst value universities in the UK for students, coming just at the time while hundreds of thousands are preparing to head to their chosen institution. 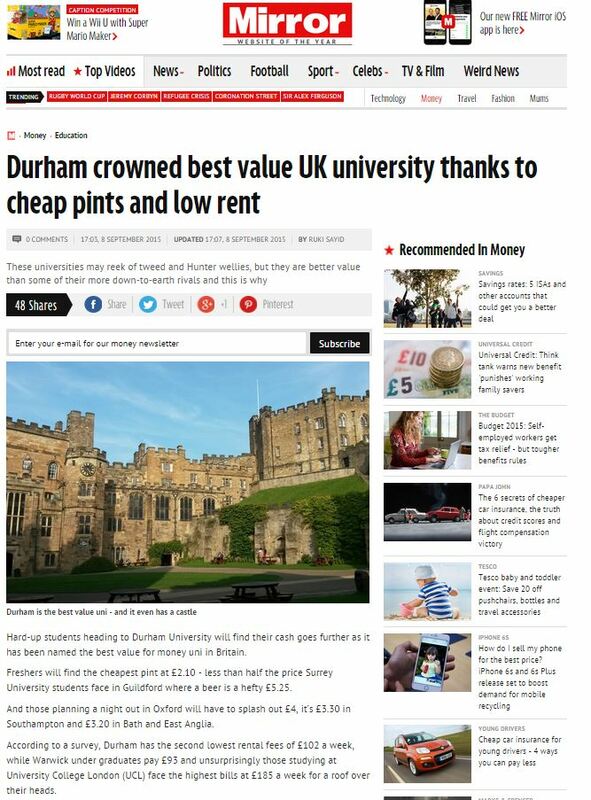 Hard-up students heading to Durham University will find their cash goes further as it has been named the best value for money uni in Britain. Who’d have thought that a price comparison website would compare the price of beer? 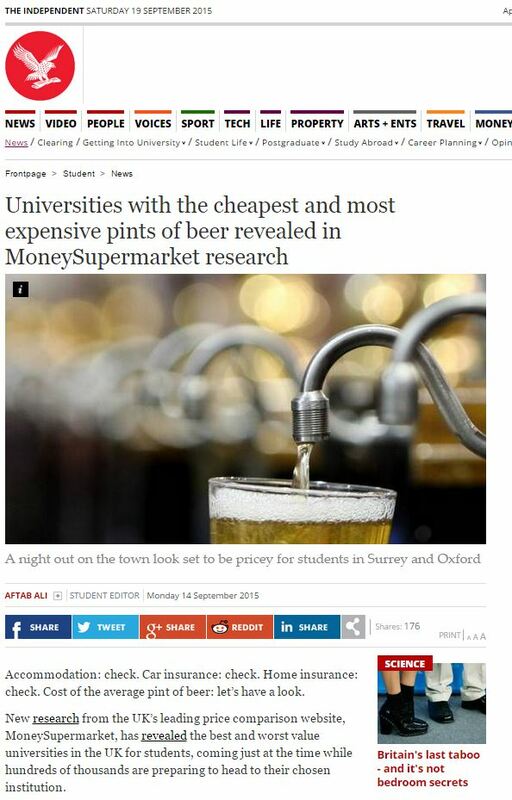 Well, anyone who realises that the MoneySupermarket PR team will be trying to use the start of the university term to convince students to use their price comparison tool to buy contents insurance for their new university residences… and students love beer, right? This entry was posted in Uncategorized and tagged Aftab Ali, independent, Kevin Pratt, mirror, MoneySupermarket, ruki sayid on September 28, 2015 by Michael Marshall.